I was a huge Stephen King fan when I was a child. I’m not sure whether it was the quality of his work back then, or the fact that his work is more appealing to kids. Probably a little bit of both. Some of my childhood favorites were It, Pet Sematary, The Tommyknockers, Christine, Salem’s Lot, and many others. I enthusiastically consumed pretty much everything he released in the 70s and 80s. Then came the 90s and adulthood. I remember enjoying Needful Things well enough. Our relationship ended with Gerald’s Game, which I bought on the release date. I hated that book. It seemed to go absolutely nowhere, and was boring, a first for King. After that, I moved on from King and broadened my tastes. I barely thought about another King novel for 20 years. Meanwhile, my love for The Shining as a film grew. I have hardly any memory of the book, although I’m sure I liked it fine. The movie was a different story. I have watched it numerous times, and have come to appreciate Kubrick’s artistry, the hidden themes, and even the ridiculous conspiracy theories postulated in Room 237. I did a close reading in a film studies class. Because of the richness of the source material, it was probably my most enjoyable college project. I tried King’s writing again with Dallas 11/22/63. Wow. The magic was back! I loved, loved this novel. It reminded me of his earlier work. The characters were rich; there was a sense of place, and most importantly, it was enthralling. I couldn’t put the book down at some points. To my surprise, this became among my favorite novels of the last several years. And that leads me to Doctor Sleep, which I just finished yesterday. This is a sequel to the book, not the film, but I was intrigued. What could have happened to the Torrances after the Overlook hotel? King does not write sequels, so if he broke his rule in this case, then he must have had a story to tell. The one thing I immediately noticed was that Doctor Sleep was not written as well as Dallas. The chapters were shorter, page-turning style, and the writing more simplistic. The characters were thinner, some (like the True Knot gang) were single dimensional. Despite these limitations, it worked as a page-turner for the first few hundred pages. I enjoyed reading about Torrance conquering his demons and interacting with the youngster Abra. The book held my attention until about 60-70 pages from the end, and then it just put on the brakes. There had been foreshowing that was impossible to miss, and it was clear how the ending would play out. I found myself laboring through the pages, just like with Gerald’s Game. The first four hundred pages took me about two weeks. The last hundred took the same. It was just ran out of steam (no pun intended). Laboring through, I realized that this was an engaging story, but still not the King that I remembered. That’s probably the norm these days, and Dallas was an unusual exception. I won’t say that I’m finished with King, but I’m less inclined to give him another shot without a firestorm of good reviews. 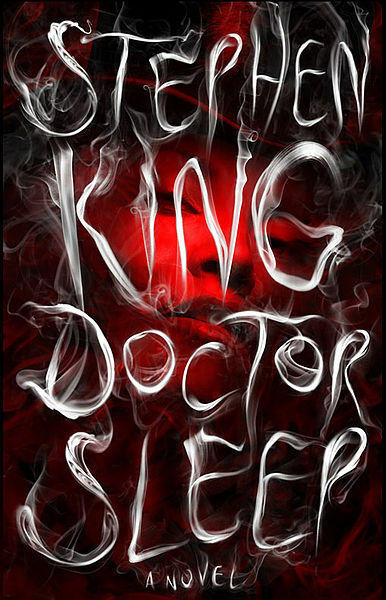 Posted on December 1, 2013, in Books and tagged doctor sleep, stephen king, the shining. Bookmark the permalink. 3 Comments. I must admit the last part of Gerald’s game is very laborious. My favourite King is Needful Things – I feel it is very underrated. I’ve had a similar relationship with King, loving him as a kid, not so much the older both he and I grew. The last I read of his was The Girl Who Loved Tom Gordon, which I thought was pretty good. But by that point, I’d read enough uninspiring King that I’ve never really returned. Like you, I’d much rather watch Christine, The Shining, Silver Bullet, etc., than take a chance on being disappointed or bored.